Moving along on our journey down Baum Boulevard! 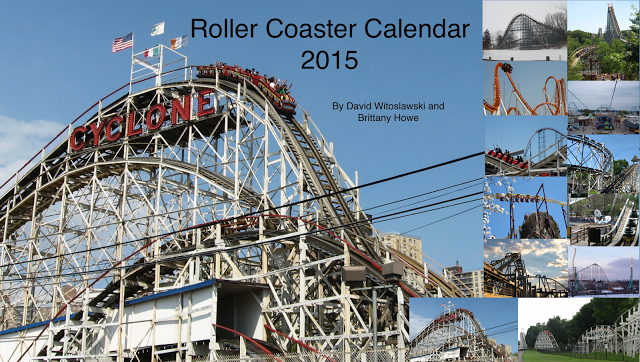 Here are parts 1, 2, 3, 4, 5, and 6. 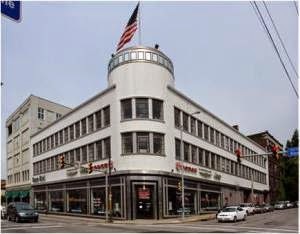 Today we check out perhaps the crown jewel of restoration and development on Baum Boulevard's Auto Row, the preservation of the former Baum Boulevard Dodge Building. It dates back to 1934 and shows the modern style of the time. It was designed by the legendary Albert Kahn, arguably the most influential designer of his time. He was the architect for such large buildings including the Highland Park Plant for Ford, the Fisher Body headquarters building, Kresge (K-Mart) Headquarters, the World War II critical Willow Run Bomber Plant, the bulk of the University of Michigan's campus, and many more. His architectural work not only endures in beauty today, but his building and design techniques and features are studied today and have influenced so many other buildings since they were built. 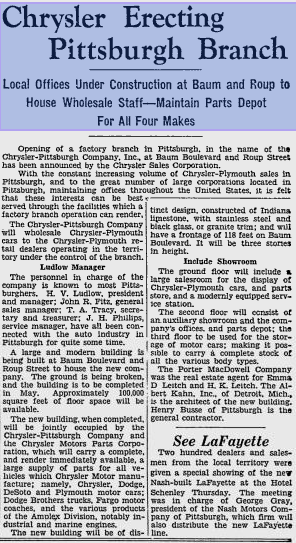 Below is an awesome Pittsburgh Press article showing the concept art for the then brand new dealership that was to sell and service all four Chrysler brands at that point, Chrysler, Plymouth, Dodge, and DeSoto. 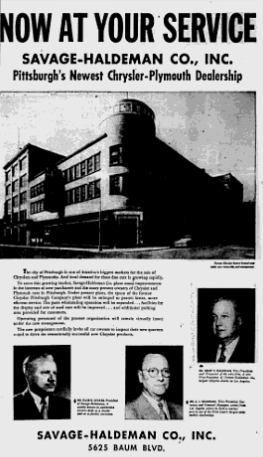 The Chrysler company employed Kahn to create streamlined dealerships in the company's largest markets. It was created in the 1930s Streamline Moderne, Art Deco building design, pioneered by Kahn. This style consists of streamlined and curved construction. This style would also be utilized for many of the automobiles and aircraft of this time period. We see in this 1951 advertisement that the dealer became known as Savage Haldeman Chrysler Plymouth. The dealer was used continuously as a Chrysler/Dodge dealer up until its closure in 2010. In 2009, the height of the recession, Chrysler announced that they revoked the franchises for fifty Pennsylvania dealerships and this staple was one of them. This was the last dealership for American cars on Auto Row. Fortunately, this building did not sit in abandonment for long, and it was purchased for the creation of a mixed use building, with an Aldi grocery store occupying the show floor, a Crazy Mocha coffee shop, and space for other retail, in addition to office space. An especially attractive aspect of the reutilization of this building is the parking space that is afforded through the former service areas on the upper floors. The Aldi has created an affordable supermarket for this spot, the nexus of Friendship, East Liberty, and Shadyside, all three of which are alluded to in advertisements for the former dealership. The addition of Aldi not only provides an affordable food store for the community, it also provides very decent jobs, with wages starting in the twelve dollar an hour range. I would love to see adaptive and productive reuse for the many other large properties within this corridor, specifically the Ford Model T plant.